Trans Tank International has returned from a bumper weekend at the Roads and Civil Works Expo at the Melbourne Showgrounds. As expected, popular products at the TTi stand were the low profile 15,000-litre polyethylene tanks and the impressive 10,000L Slip-on water cart. TTi recently started manufacturing 15,000-litre polyethylene units to provide an alternative to steel tanks of similar size used by civil and local government contractors. A 17,000L tank is also now being manufactured by TTi. This will be the largest single piece poly water cartage tank available in Australia. All feedback was very positive, and customers were particularly rapt with the added durability and reduced weight that poly now brings to tanks of this capacity. Also on show were was a range of TTi’s smaller industrial products such as tree watering units, firefighting equipment and diesel refuelling equipment. 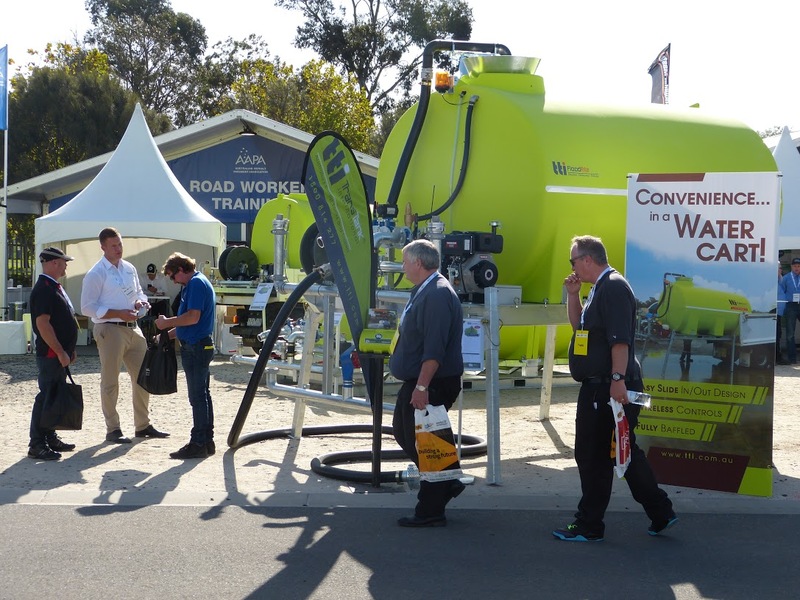 TTi is a regular attendee at field days and expos across south eastern Australia. These events allow customers to view a product in person – physically taking in the size and quality, watching demonstrations, and talking to the salespeople who can answers detailed questions right then and there. The 2016 Roads and Civil Works Expo is the sister exhibit to the International Truck, Trailer & Equipment Show and is usually scheduled in early May.